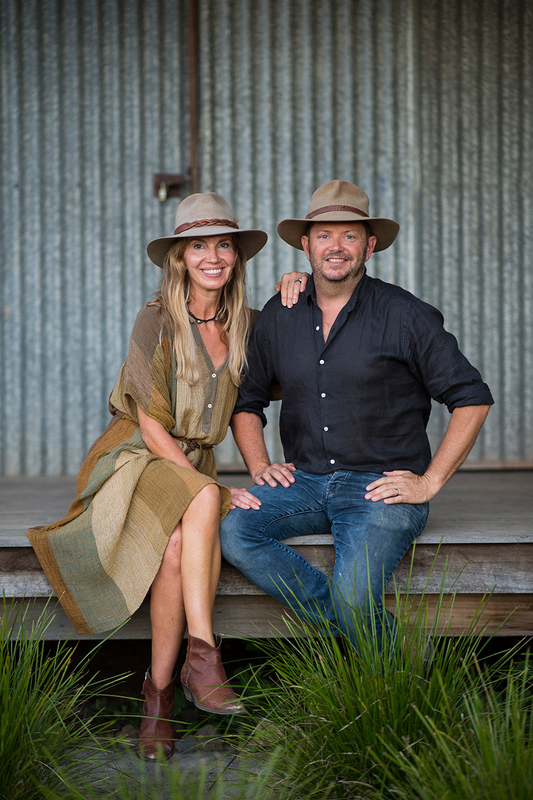 Emma and Tom Lane from The Farm in Byron Bay share stories, recipes and living more sustainably in their inspirational new cookbook, The Farm Community. The Farm Community is an inspiring book about how real change can happen when people come together. Find stories, recipes, and simple steps to living more sustainably, whether in the city, the suburbs or the countryside, collected through the connections that owners Emma and Tom Lane, and their purveyors and organic growers have created on The Farm in Byron Bay: a working farm with a deep passion for real food and wellbeing at its heart. 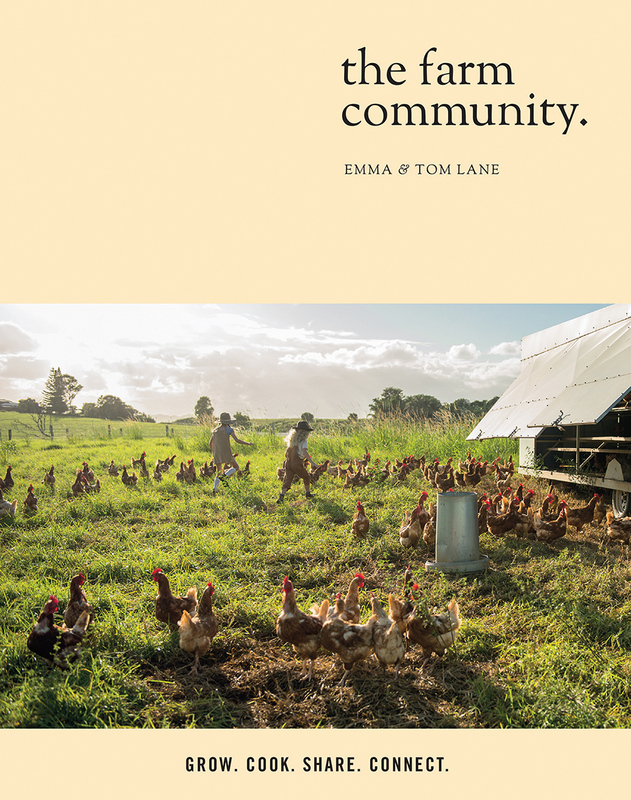 Take a bite out of The Farm community’s life and sustainable style with this delightful sampling of recipes courtesy of Emma and Tom Lane and their friends. Emma: Newrybar Fruit Farm supplies The Farm with our citrus needs. 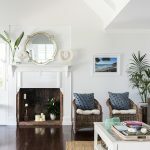 Owner and farmer Nick Hatherly and his wife, Simone, grow oranges, lemons, limes, mandarins, and grapefruit – among other things – on their own little cornucopia, tucked away near the historical village of Newrybar just 13 km south of The Farm. 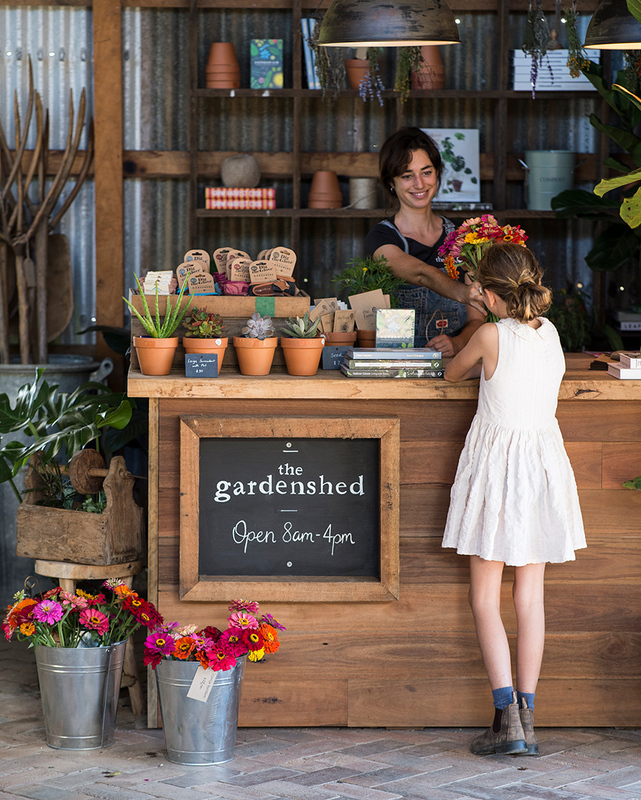 The farm gate has a roadside stall where locals can collect goodies fresh from the farm. Since The Farm opened, we have seen Nick almost daily, as he delivers his citrus to Three Blue Ducks. You can recognise his delivery van by its ‘LIMES’ number plate. First, make the nam jim. This can be prepared a couple of hours in advance. 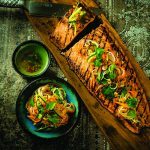 Soak the wooden skewers for about 10 minutes in cold water so they don’t burn on the grill or barbecue. Remove the shells from the bodies of the prawns, leaving the tails intact. De-vein the prawns and thread them onto the skewers lengthways (one prawn per skewer). 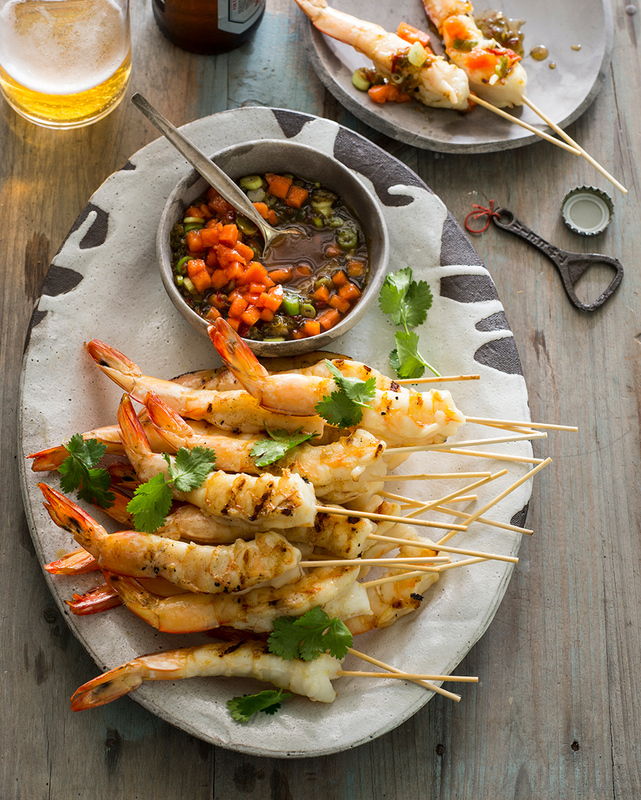 Sprinkle each of the prawn skewers with sea salt and drizzle with oil. Grill the skewers on a very hot barbecue chargrill plate or grill for 2 minutes on each side or until cooked. 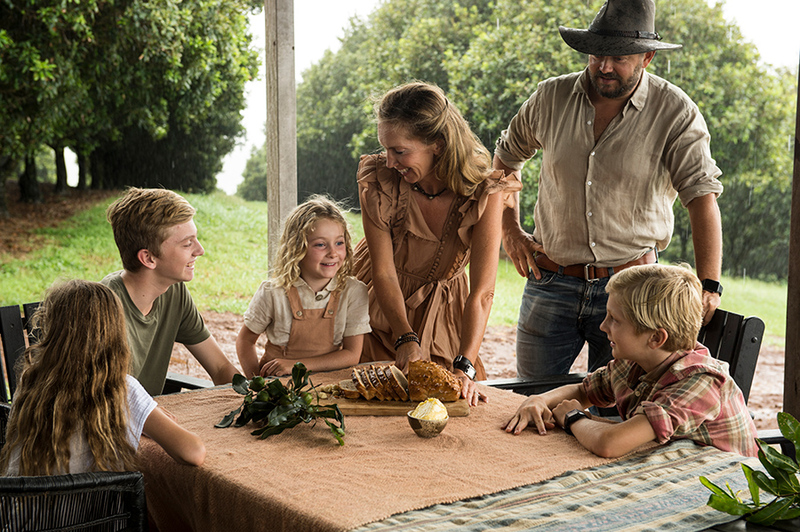 Kimberly: I generally ‘throw’ food together for our family of boys. All ingredients in this recipe are from The Produce Store at The Farm. 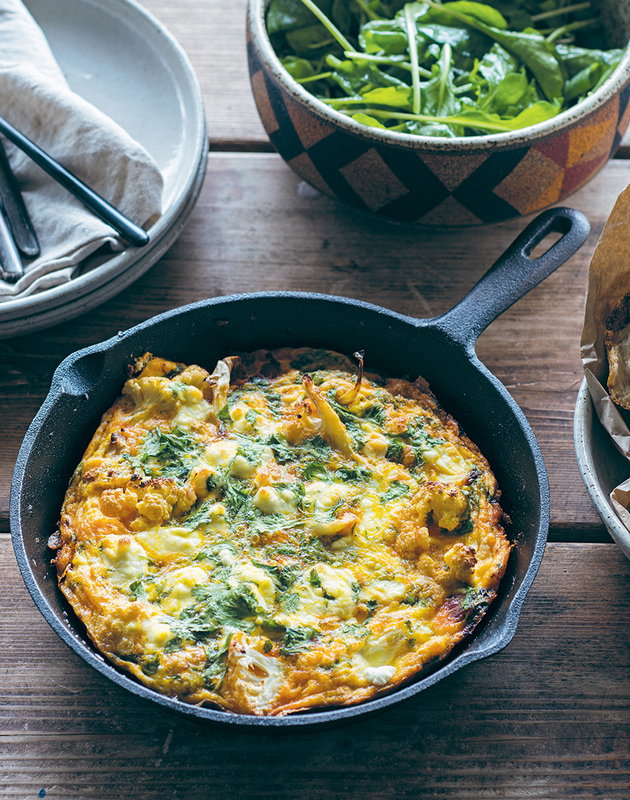 We like to prepare the frittata in the kitchen and then eat it down at the river by the open fire on our property. Fill a saucepan with water and add the cauliflower florets. Bring to the boil and cook for 5–6 minutes, until the cauliflower is semi-soft. Remove from the heat and drain the cauliflower florets. Set aside. 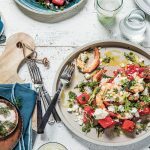 Place a cast-iron skillet or ovenproof frying pan over low heat and warm the coconut oil. Add the onion, garlic, and chorizo and cook until the onion is translucent. In a bowl, lightly whisk the eggs, goat’s cheese, and parsley. Add the chorizo mix and break in the cauliflower florets. Pour the mixture back into the skillet and cook over low heat for a couple of minutes to set the bottom of the frittata before placing the skillet in the oven for about 10 minutes, or until the eggs are set. Allow the skillet to cool for a few minutes and carry to the campfire. Set the table, toss the salad and tear apart the fresh sourdough. Place the frittata skillet on the sizzling hot coals to warm until ready to serve with a sprinkle of shaved parmesan. 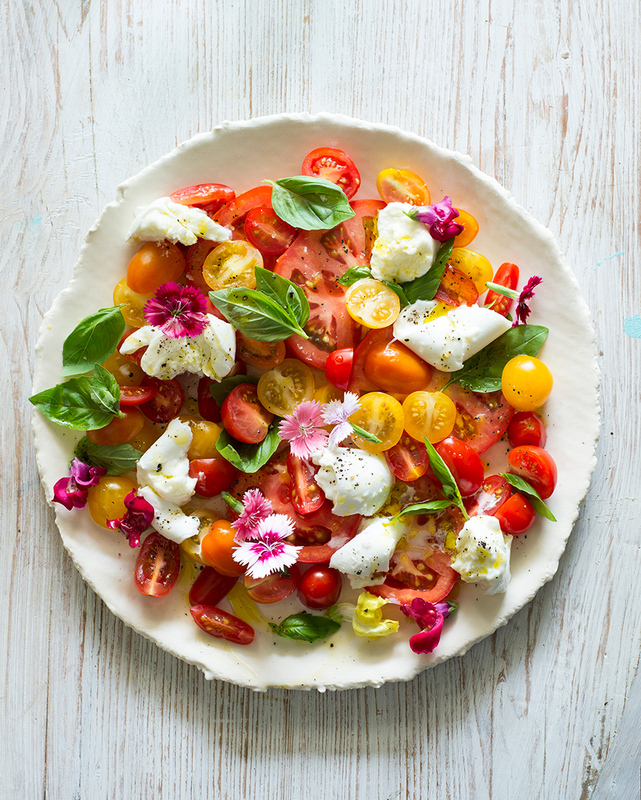 Emma: Basil and tomato are great companion plants, and I always add a little basil to my tomato salads. It’s amazing how nature works – what grows well together often tastes delicious together too. 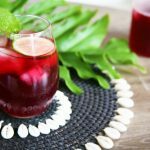 Alanda: I always try to cook using ingredients that inspire and surround me, and because I’m usually around bees, desserts are a common occurrence. I created this recipe by combining a few of my favourite things: honey, cheesecake, and macadamias. Grease and line a 20 cm springform cake tin. Break the gingernut biscuits with your hands into the bowl of a food processor. Process the biscuit pieces until they are finely chopped. Add the melted butter to the biscuit crumbs and process until combined. Remove the base from the freezer. Spread the cheesecake filling evenly on top. Cover with plastic wrap and place in the freezer overnight, or until firm. Around 15 minutes before serving, remove from the freezer to soften at room temperature. 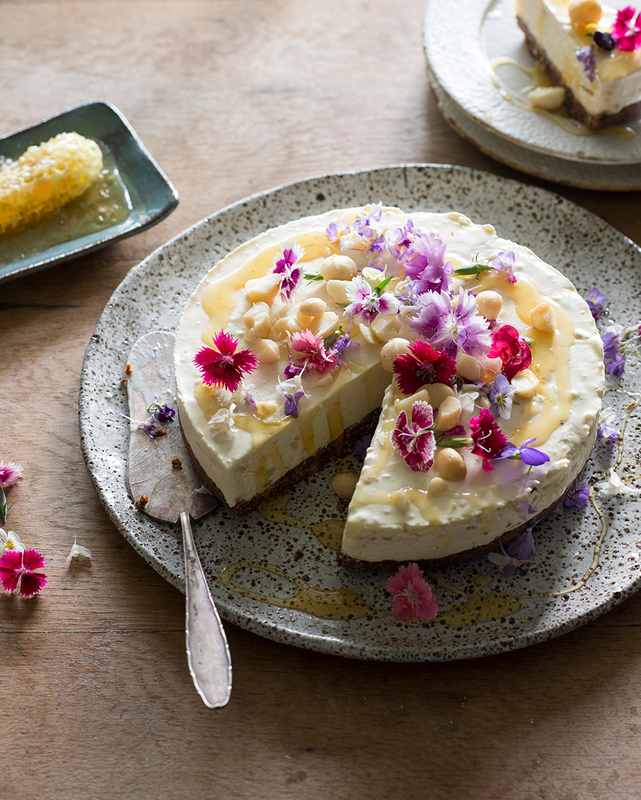 Serve the cheesecake with fresh honeycomb, edible flowers, and extra chopped macadamia nuts. Store any leftover cheesecake in the freezer.